Back in the golden age of motoring, cars, like boats, were built to a buyer’s personal specifications. Marques such as Rolls-Royce, Bentley, Bugatti and Hispano-Suiza would supply a “rolling chassis” complete with engine and gearbox, leaving the owner to employ a coachbuilder to create the bodywork and trim the interior to order. The spread of mass production largely put an end to that by the late 1940s, but there has recently been a resurgence in demand for one-off cars as luxury becomes ever more focused on the unique rather than merely the high quality and expensive. The new luxury is having something no one else has got – and, when it comes to cars, even the best production models aren’t exclusive enough for some if they’re in standard trim. 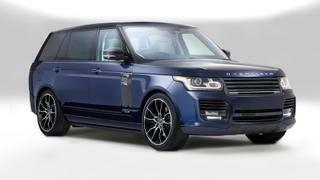 One of the first companies to recognise the market for such customising was Overfinch. Established in 1975 in Leeds, UK, it has grown into the go-to company for anyone wanting to seriously upgrade their Land or Range Rover. From marquetry dashboards and jewelled badging on your Discovery to a remote-controlled, slide-out boot floor and titanium exhaust pipes on your Sport, Overfinch will create the SUV of your dreams. 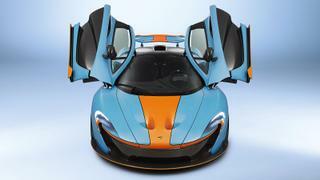 Such is the demand for after-market “bespoking” that many high-end car marques offer personalisation services direct. Aston Martin’s Q division (named, of course, after James Bond’s gadget boffin) promises to meet your every whim when it comes to creating a really special car. 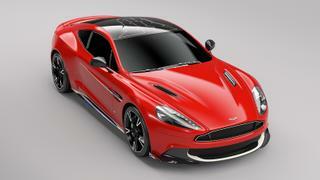 It has demonstrated this by building a version of the Vanquish dedicated to the RAF Red Arrows aerobatic display team and painted in the same “Eclat red” as the aircraft and with seats the colour of flight suits. Q can also design and build you a car from the ground up, complete with exclusively designed body. A similar service is offered by McLaren’s Special Operations department, which, thanks to the carbon fibre MonoCell on which its production cars are based, can create any coachwork you desire to put on top, so long as it’s road legal – and doesn’t compromise safety or performance. Frankly, if you can design a better looking car than the professionals at McLaren then you’ve probably missed your calling.